It's time again for another Book of the Month selection. 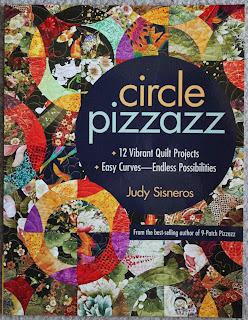 This month's honor goes to Judy Sisneros and her new book, Circle Pizzazz! Last week, I had the honor to take Judy's class on this technique, so I've gotten a bit of a head start. which is what this particular quilt will be composed of. Don't be afraid of the curves, as they are big and gentle! 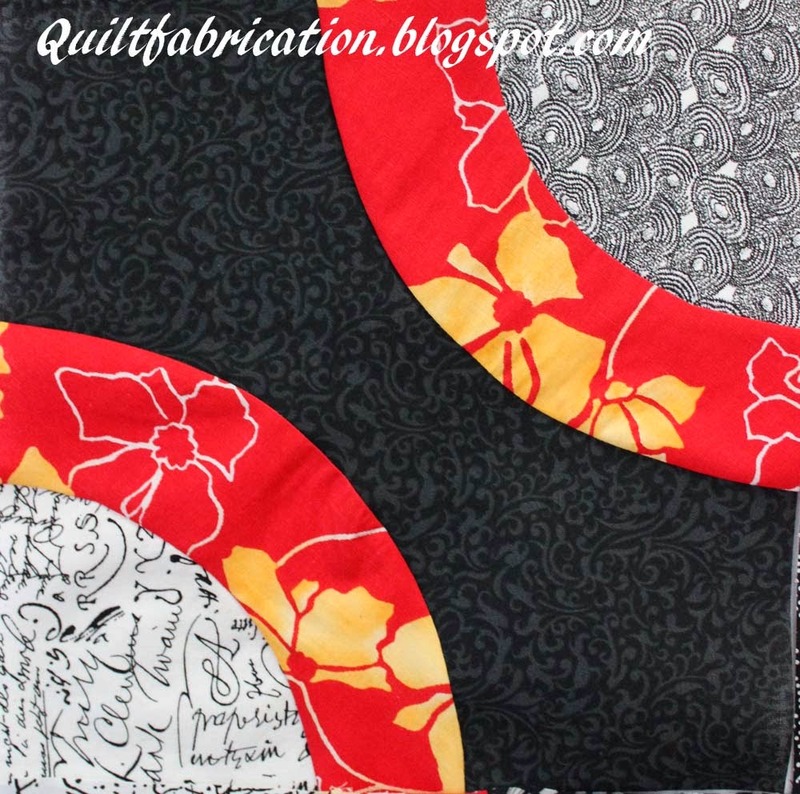 For this quilt, the red fabric did not originally have orange flowers. To give the quilt more umph, I decided to paint in the orange using water soluble wax pastels from Caran D'Ache. 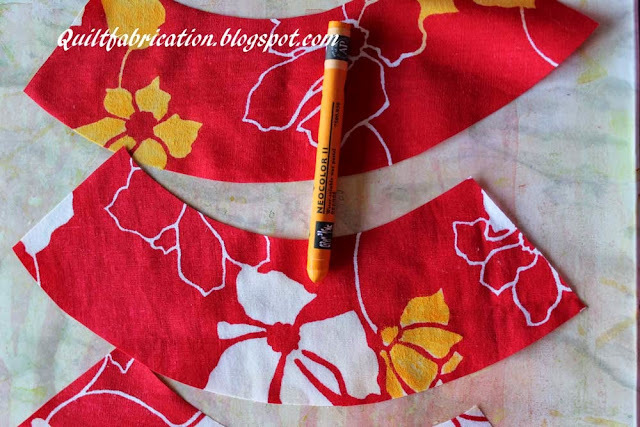 These crayons are easy to apply, and give a nice intense color, just what this quilt needed. Another product in the arsenal to get the fabric color that I want! 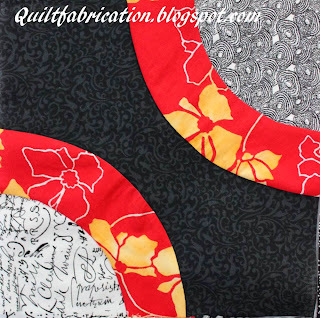 Right now, I need to get back to sewing as I'm almost done with all the blocks for this one. Be sure to check out both of these products, and have fun with each! You are so clever! Thanks for sharing the way you color your fabric. How smart to "color inside the lines" of the white flowers! This will be a wonderful quilt when you finish. 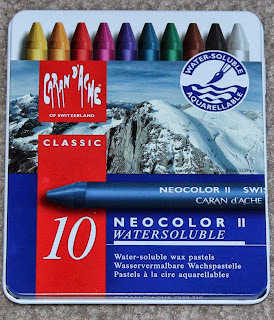 The wax pastels are water soluble - does that mean that they wash out? So that quilt can never be washed? 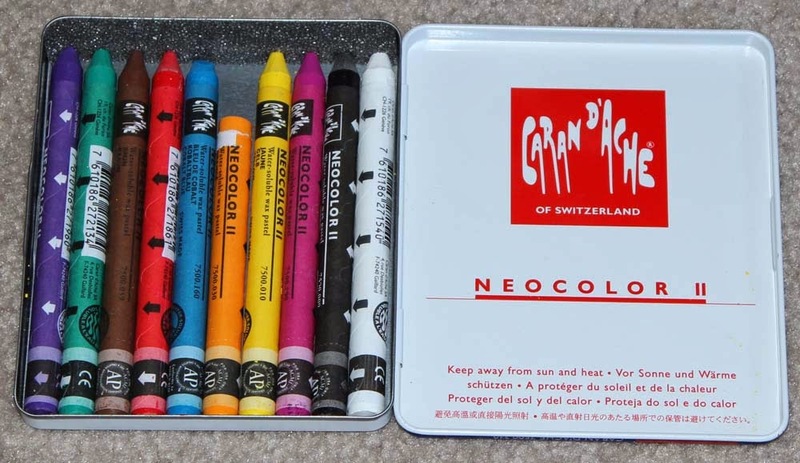 I'd love to try them, but it won't help me if the color washes out. thanks.